It was the winter of 2009. 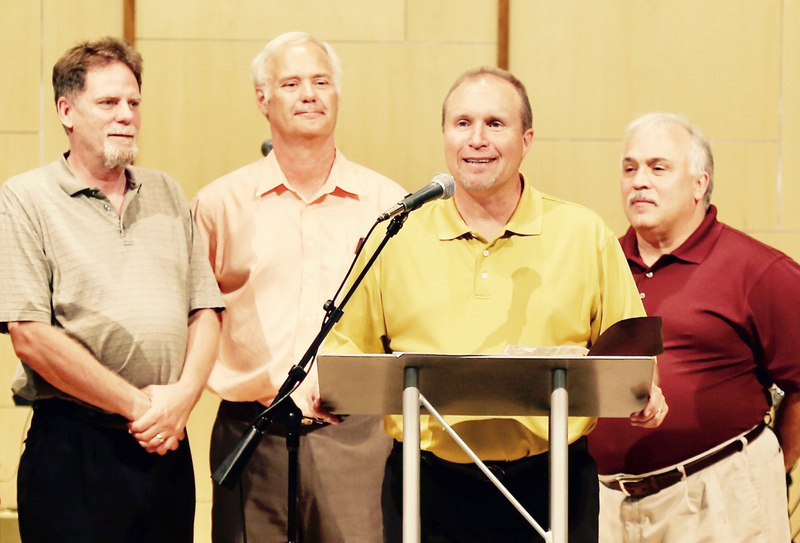 The ELCA denomination had made a historic, and unfortunate, shift toward the liberal cliff. This led to a perversion of the gospel and many churches began to take votes on whether or not to remain with a denomination that had clearly left both biblical and Lutheran roots. Our church was one that took that vote. The required vote to leave the ELCA was 66 percent. We got 55. It split our 700-member church in Minot, North Dakota right down the middle. Then, at Perkins one morning, an older gentleman asked if we could start a new church. Within a few months God had moved 200 people from our previous church and from surrounding churches to begin worshiping in a building that we now own. 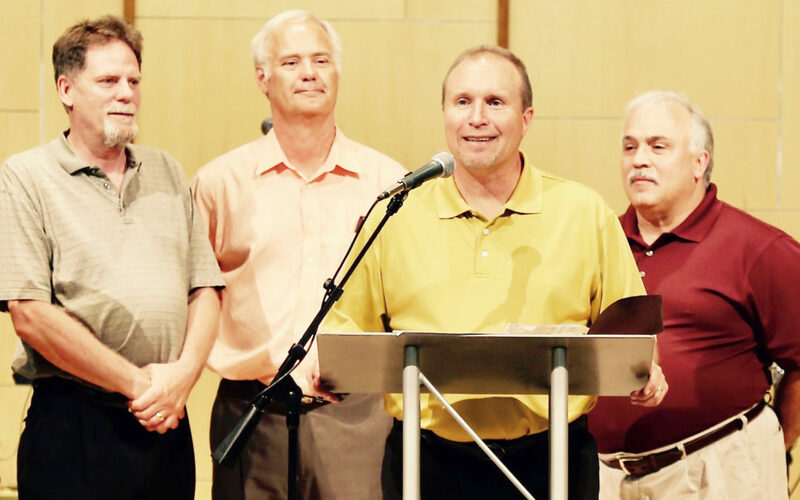 Living Word Lutheran Church began with very passionate people worshiping together. It formed fast. Like any church plant, we have had many ups and many downs. All along we remember Jesus’ strong statement, “I will build my church, and the gates of Hades shall not prevail against it” (Matthew 16:18). From that beginning at Perkins, we met in homes, then worshiped in a library, then on to a Presbyterian church, until an AALC church was so gracious to share their building. After they dissolved as a congregation, we were blessed with the opportunity to purchase the building. God used many of his people to develop and establish our statement of faith, to lead worship, and to explore joining a new denomination. We have had to work through some tough doctrinal issues: inerrancy of Scripture, creation vs. evolution, eldership, male leadership, discipleship of the next generation, family integration, etc. We prayed and called three men to be elders in 2015. As the founding pastor, I was asked to explore possible groups or denominations with whom we might affiliate. After looking at twelve different options, we narrowed the list to five. The congregation compared the beliefs of these groups with what we had already agreed we believe. We prayed about it, and then unanimously selected the Church of the Lutheran Brethren. Even though I had been trained at the Lutheran Brethren Seminary, the vote was a result of the congregation’s own prayerful study. We are still working with people on transitioning, but God is faithful. We now have a very solid group of people, including our elders, who honor a high view of the Bible. God has guided us to organize Bible studies, Sunday morning classes for children, adults, and young adult/college-aged people, plus a Family Sunday School/All-church Sunday School. We have begun Wholesome Family Nights, a yearly Scriptorium for memorizing and presenting whole books of the Bible, and occasional Thanksgiving outreach. The year 2017 has ushered in an emphasis on outreach. We will be training and sending our people for evangelism door-to-door. We are developing a support ministry for mental health wholeness for those struggling with depression, anxiety, bipolar disorder, etc. Given where most of our church had come from, this can only be described as God’s work. We are still maturing in our understanding of both law and gospel, but we trust God will complete that which he began at Living Word. “The word of God is alive and active!” (Hebrews 4:12). Rev. Jeff Hoverson serves as pastor of Living Word Lutheran Church in Minot, North Dakota.